The largest of the ball heads on test, the Giottos MH7002-652 is something of a behemoth compared to the diminutive products from Gitzo (right) and Cullman (below). The extra space gives it a little room to pack in some extra features. Three separate spirit levels – two horizontal and one vertical – ensure accurate levelling of the camera. A single locking lever controls movement on all three axes, and once the wingnut-type thumb dial is unlocked the head can tilt and pan with ease. Giottos’ 652 plate comes on the top of the head, which has a spring-loaded, quick-release function for speedy access to the camera. The head attaches via a standard tripod thread, is solidly built and has a spring-loaded mechanism that returns the front dial to its optimal position. 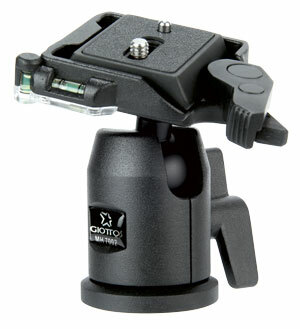 The Giottos head can support up to 4kg of kit. 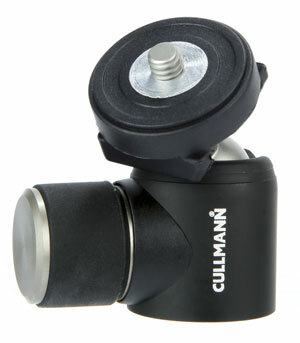 One important thing to note about the Cullman Cross CB2.7 is that it does not fit a standard tripod thread. It is designed to fit a 1/4-20 UNC screw thread, and does not come with a standard adapter. If this suits your needs, it’s a great little product. It has one particularly interesting feature that’s unique among these ball heads – the removable top-plate comes with a hotshoe on its reverse side. 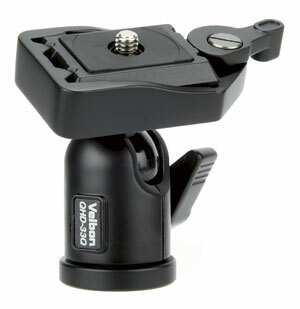 This lends the Cross CB2.7 a degree of versatility, allowing it to be used not only as a camera stand but also as a stand for accessories such as an external flash. Pleasingly, it functions very well in its primary capacity as a camera support. The movement is nice and fluid, and the rubberised thumb grip is easy to loosen and tighten. Be aware that it only supports a load of 1kg, so it should not be used with heavier kit. 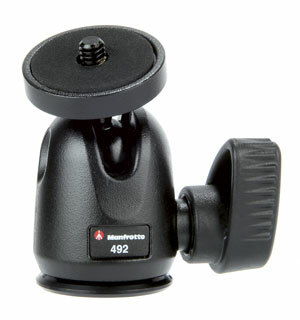 Exceptional build quality is offered by the Manfrotto 492 Micro Ball Head, with the housing of the socket joint made from strong die-cast aluminium and the rest of the head constructed from a combination of aluminium and tough polycarbonate. 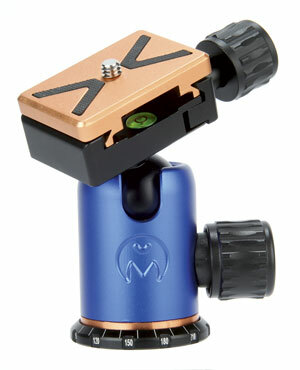 At 140g, the Manfrotto ball head is the heaviest on test not to feature a quick-release plate. However, if build quality is a priority, the extra weight is a worthy trade-off. In the size department, the Manfrotto 492 sits comfortable in the middle of all those on test – it is a similar size to the Velbon head. A noteworthy feature of the Manfrotto 492 is the inclusion of a 1/4-20 UNC adapter, which screws inside the 3/8-16in tripod mounting thread so it can accept both. The first thing that strikes you about the 3 Legged Thing AirHed 0 is the design, and especially the colour scheme, which makes you think a 12-year-old child somewhere won a competition. The second is the spec, which is, by contrast, seriously impressive. The AirHed 0 can support a whopping 30kg of kit despite its relatively slender dimensions of 81x44x32mm, which is amply more than any photo enthusiast is going to need. The fluidity of the head is exceptional, and the rubberised thumb grips – two for securing the ball itself, one for the Arca-Swiss-style plate – loosen and tighten with beautiful smoothness. A horizontal bubble level just below the plate helps you keep your horizons straight, and rubber grips on the top provide a little extra traction between plate and camera. It’s a truly excellent head that just about justifies its high asking price. 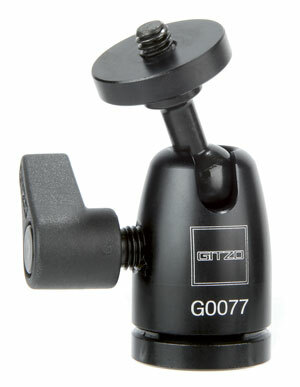 The Gitzo G0077 Centre Ball Head has an aluminium construction and, at a weight of just 80g it is the lightest on test. It’s also the smallest – the main body of the ball head is no bigger than a 10p coin excluding the protrusion of the thumbscrew. The circular plate on top has a standard screw thread on which to mount the camera. This ball head can comfortably hold most DSLRs as it’s rated to a maximum payload of 2kg. The thumbscrew for adjusting the tension is well placed and can be repositioned to prevent it from interfering with either the camera body or the tripod/monopod. In a quarter of a turn, the head can be tensioned from its loosest to its tightest. Of all the ball heads with quick-release plates, the Velbon QHD-33Q is the smallest in size and the lightest at just 150g. The QB-3B quick-release plate comes included. This is a very small plate measuring just 31x43mm. It locks in place with an easy-to-use locking knob and is secured further by a pair of interlocking teeth featured on both the plate and the plate’s housing. Like the Gitzo head, the thumb screw used to tension the ball head only takes a quarter of a turn, which makes it very quick and easy to position. However, the Velbon is rated to just 0.6kg, so it is more suited to small DSLRs or compact system cameras. Both the camera-mount thread size and the tripod-mount thread size are 1/4-20 UNC screw thread, so an adapter may need to be bought separately.